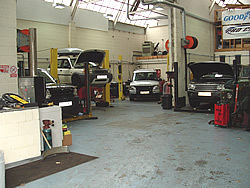 We are able to undertake servicing and repairs on all Land Rover vehicles. Our workshops are equipped to undertake work on the latest Land Rover range including Range Rovers, all Discoveries, Freelanders and Defenders. We also continue to repair and service older vehicles including early Range Rovers and all Series vehicles, including extensive rebuilds and restoration projects. Electronic diagnostics: Using Autologic electronic diagnostic software we can quickly pinpoint electrical and mechanical problems and solve them effectively. 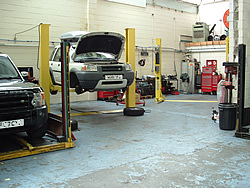 Our extensive experience of Land Rover servicing sees us frequently solve problems main dealers are unable to discover or repair. 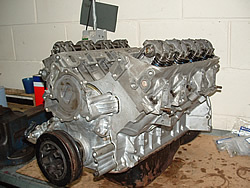 Engine Rebuilds: Land Rover engines can take a lot of abuse and punishment but when they do fail, we can provide a range of options, from complete new engines to re-conditioned units or even engine upgrades. 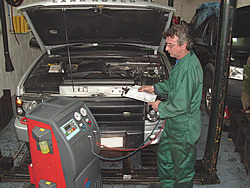 We are often able to recondition the vehicles existing units, saving you time and money. Contact us to discuss options and budgets. 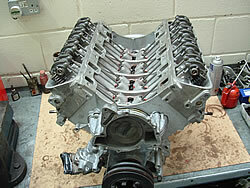 Gearbox Rebuilds: As with engines, we can provide you with advice on the range of options available to you following gearbox failure. From rebuilds and reconditioned units through to new gearboxes, we can provide a cost-effective solution to your dying gearbox! Welding: However well cared for, a rusting chassis or bodywork is likely to affect all Land Rovers at some time. With our specialist knowledge, we can provide fast welding repairs including bulkhead repairs, outriggers, rear cross members or general chassis repairs. We can also undertake aluminium welding if required. Full Bodyshop: From small scratches through to extensive damage, we offer a complete bodyshop service replacing damaged panels on all Land Rover vehicles. This can include extensive anti-corrosion treatments on body panels prone to rusting or ‘blistering'. 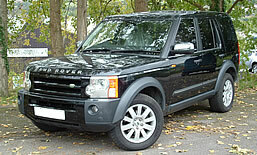 We can also respray all vehicles in both standard Land Rover colours or in your own choice of colour. Auto Electrical: With even new Defenders, increasingly dependant on electronic engine management systems we are able to repair and service all electrical areas on Land Rovers. From electric windows and central locking through to engine management and satellite navigation, we can solve your electrical problems quickly, even when main dealers have failed. Tyres: We can supply and fit a whole range of tyres, including complete sets for vehicle rebuilds or offroad preparation. Contact us to discover our latest special deals on performance, off-road and standard tyres. Free Courtesy Car: We are able to provide our customers with a courtesy car for all booked servicing and repairs (subject to availability).